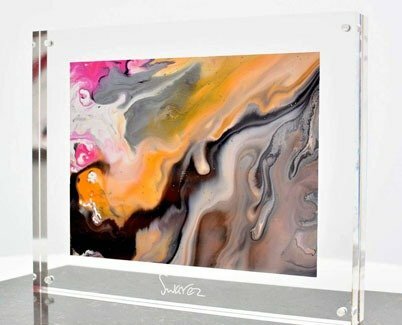 These small original art works are all handmade and hand painted by me. 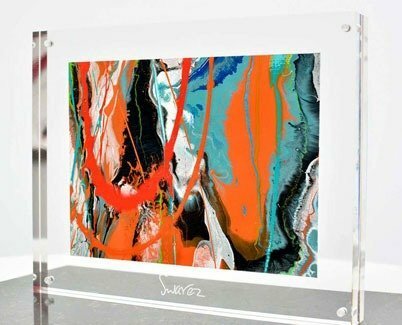 They feature all the same characteristics and materials as the big paintings but at a fraction of the price. 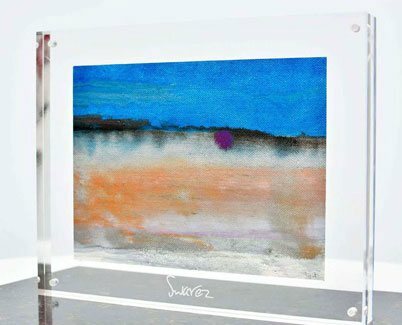 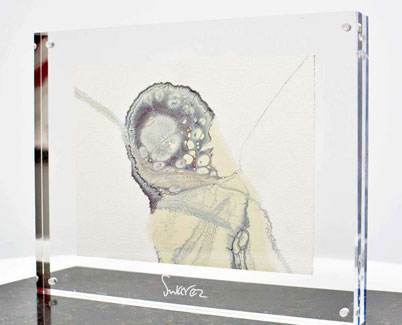 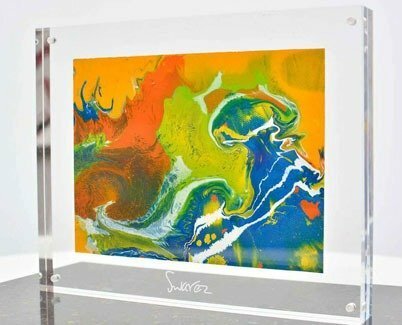 All are enamel paints on canvas and each one is hand signed and authenticated on the reverse. 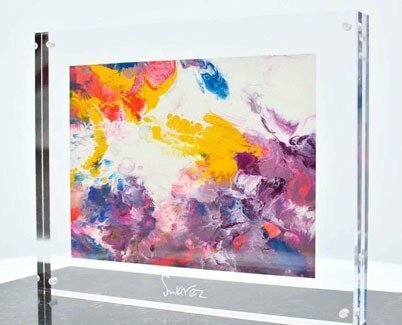 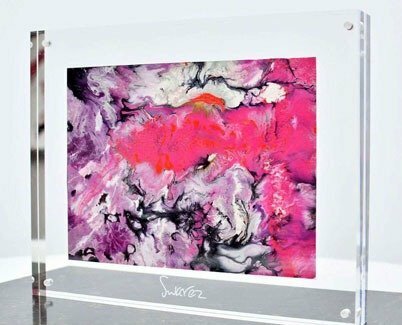 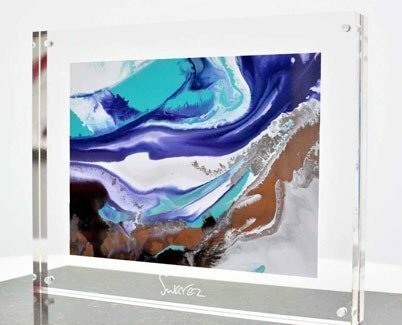 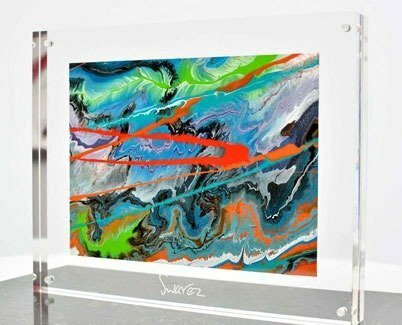 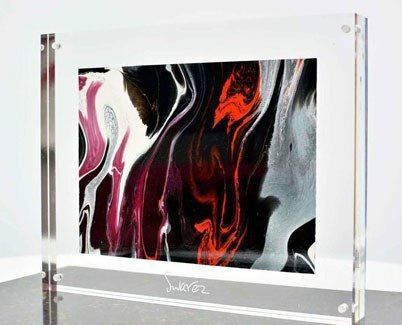 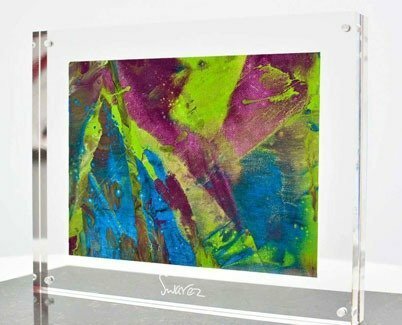 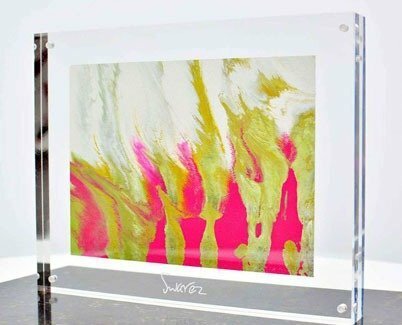 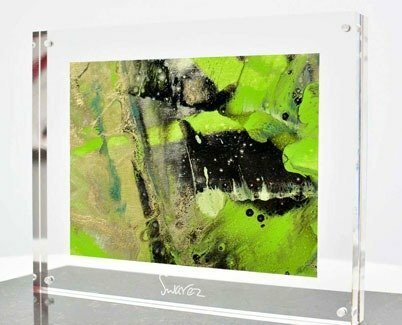 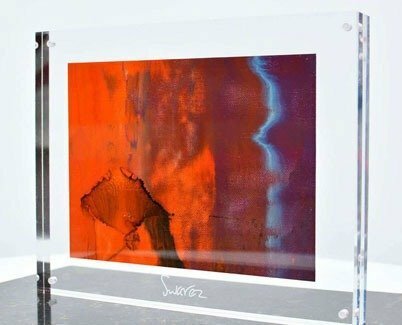 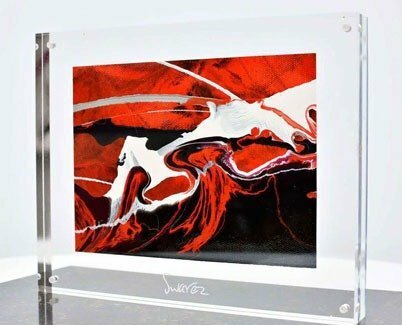 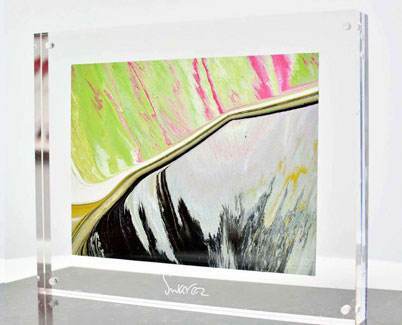 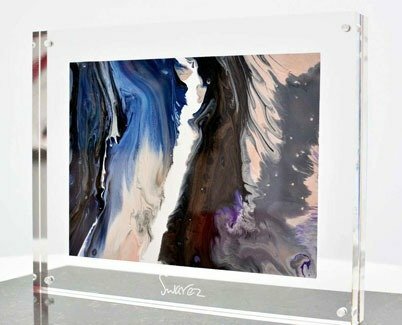 For the acrylic mounted pieces you can also stand these on any hard surface and they make a welcome addition to any console table or desk space.